Brick Fest Live! 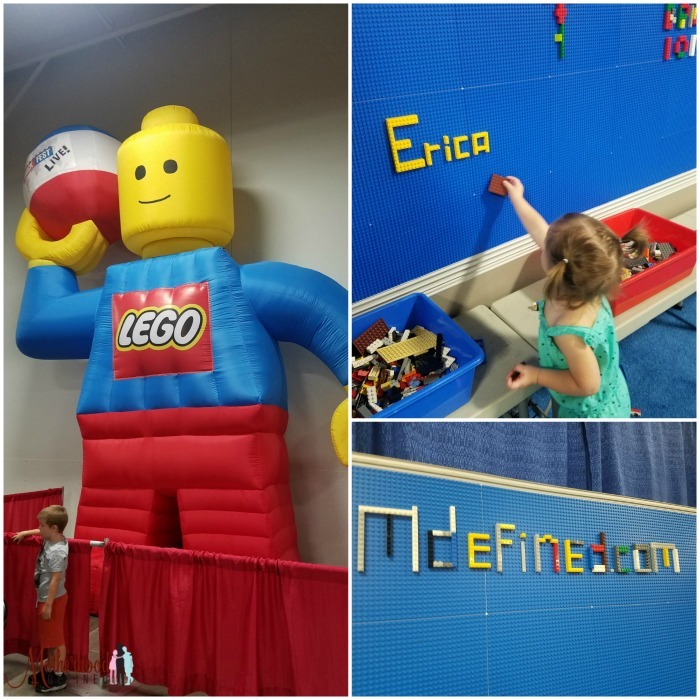 Review by Teri Hatland | Review: Brick Fest Live is a haven for Lego Fans of all ages! 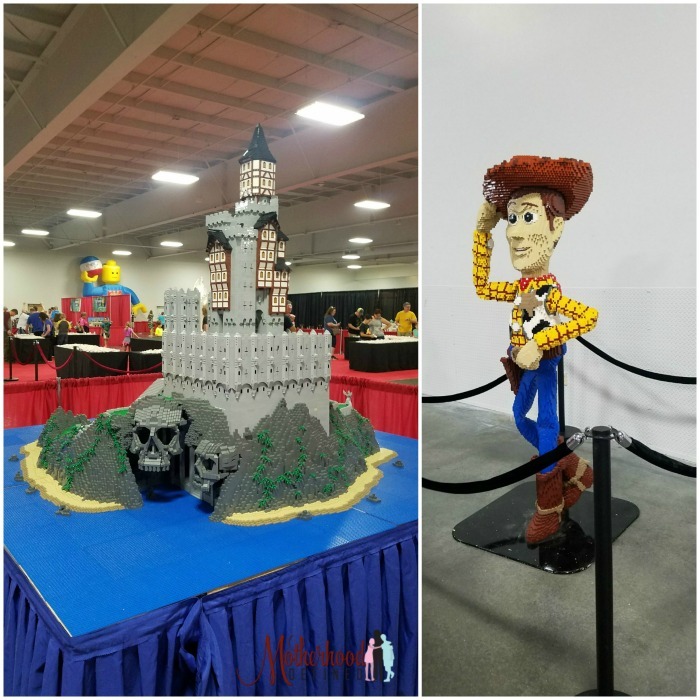 Review: Brick Fest Live is a haven for Lego Fans of all ages! 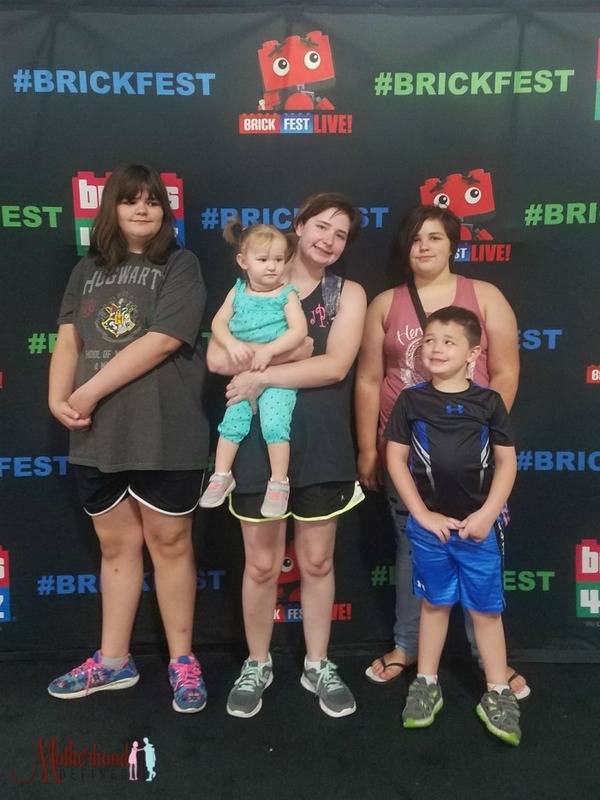 Brick Fest Live, an all ages experience is making it’s way around the US. 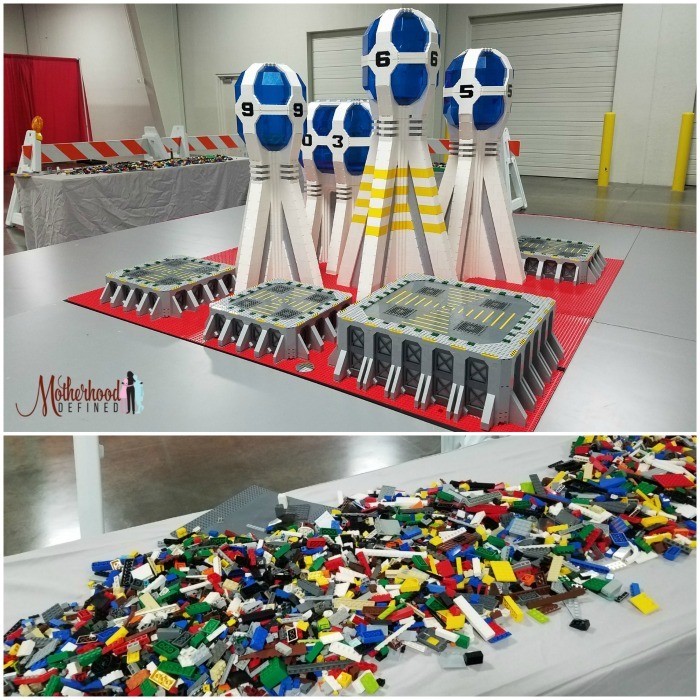 This traveling event allows attendees the ability to enjoy an amazing LEGO world where they can marvel at giant creations and even build some of your own. The Brick Fest Live LEGO Fan Experience provides a venue for LEGO lovers of all sizes to celebrate, build new creations, and see some truly mind-blowing LEGO sculptures to help set the imagination free. So, we packed the SUV up, pilled in 2 adults and four kiddos (ages 12, 11, 7 and 1) and headed to Kansas City to see what the talk was all about. We arrived to the KCI Expo Center a bit early on opening general admission day and the only idea we even knew we were in the right place was the insane amount of cars coming into the parking lot. I was surprised there were no signs or markers but perhaps Brick Fest Live is so well known, they do not need them. We entered the door and had a short wait before the line of families started getting in to see the action. Upon entering the room set aside for this event, you could see a variety of booth style stations that featured Lego sculptures, actives and vendors that sold their themed wares. The sculptures were the adult favorites as we marveled at the amount of time and skill it would take a master builder to create such a project. As our attention was focused on the details, the kids were taking their turn trying to recreate the project with the LEGOs smartly placed upon tables nearby. There was even one sculpture I remembered seeing when visiting LEGOLAND California earlier this year. Since there was no marker, I assume it was a reproduction created by one of the popular YouTube LEGO show hosts from The Brick Show. If you hang around long enough and find yourself in the right place at the right time, you could even meet one of the show hosts from The Brick Show in person and be featured on in an upcoming video. We split up at one point during the visit as some areas were much better suited for wee ones vs older LEGO fans. My daughters headed to the collaborative building activities area at contribute their time to building a large-scale mystery floor mosaic. While the adults and two younger ones played in the blue sea of LEGOs. This area is something right out of a dream build. 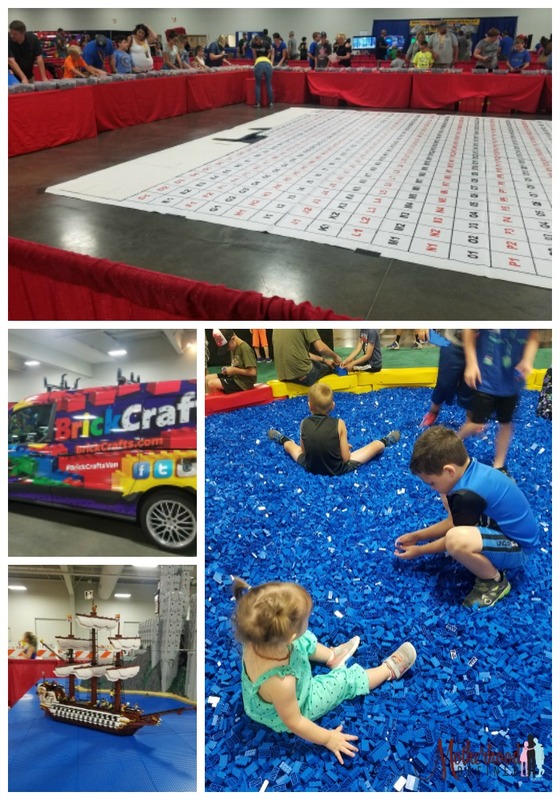 There was also a Mini Golf area where families could take their game to the next level on the Brick-Links and a Brick Fest Derby where you could build and race your custom built LEGO derby car down one of the 35-foot long timed tracks! Sadly, the line was so long at both and the kids had no intention of waiting it out. Both look fun and those who were actively playing seemed to be enjoying themselves. Brick Fest Live in Kansas City also offered a Video Game Arena. Attendees could challenge others in the Brick Fest Gaming Arena playing their favorite LEGO title head to head. Sounds like some rivalry to be had here. 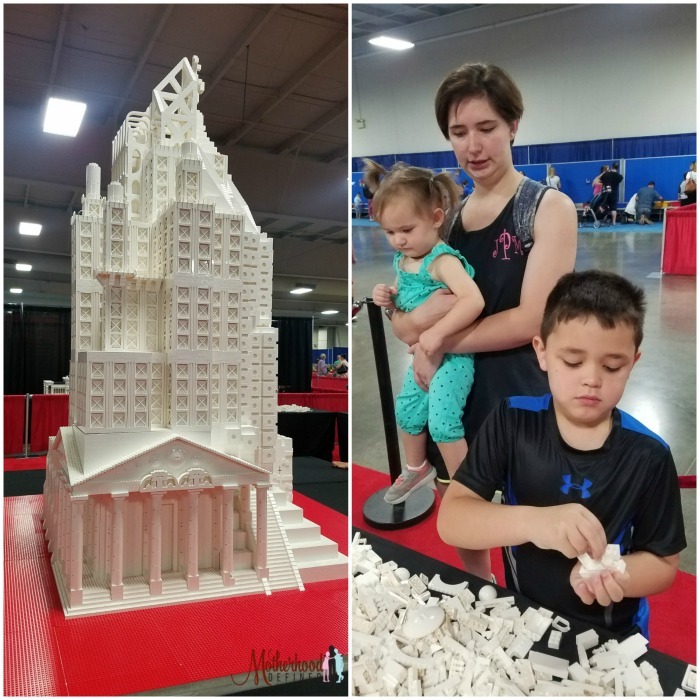 We engaged in the inspiration Stations by adding to existing LEGO cities and adding our piece of inspiration via custom creations and the wee ones helped with creative mosaics, using a colorful variety of LEGO bricks to build a piece of art to proudly display for other attendees to see. Yes, I seized the moment for a bit of self-expression. Of course, you cannot attend such an event without shopping. At Brick Fest Live you can find new, vintage, rare, and custom LEGO sets and merchandise from the many merchants in attendance. 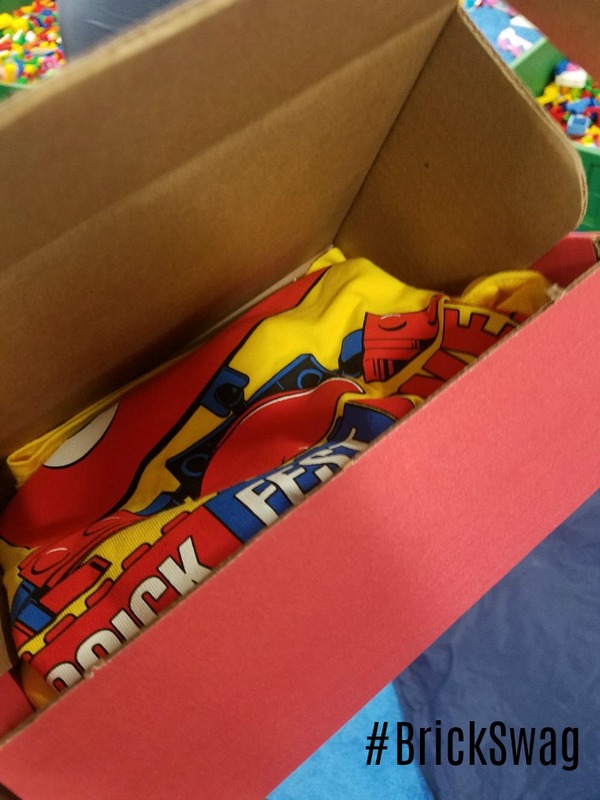 Our favorite was the $20 best show deal where you got a #BrickSwag box to fill with one event themed tee shirt, a mystery LEGO figurine, a LEGO flashlight and backpack bag! Sold and we had two little happy campers! On the way out, we said goodbye to our two favorite pieces: Woody from Disney’s Toy Story and what looked like a castle straight out of Pirate of the Carribean. It was busy yet a lot of fun exploring and doing something uniquely builder worthy! Have you ever been to Brick Fest Live? Check their lineup for a city near you: events.brickfestlive.com and use promo Code USFGTHREE to get $3 off each of your tickets!